The content management system (CMS) in our e-commerce and organizational sites gives you direct control over your web site content; allowing you to make updates in real-time, without having to rely on other parties. Our management back ends are intuitive, and customized to meet your needs. Every business is different. We custom design your e-commerce web site to properly fit the specific needs of your business. Our site design and shopping cart application are designed to make it easy for your customers to use your website. DMSI has developed e-commerce sites offering as many as 10,000 items for sale, in over 120 categories. GOOGLE search engine optimization, incorporates a group of prescribed methods for getting your site optimally positioned and displayed on google search engine result pages (SERPs). 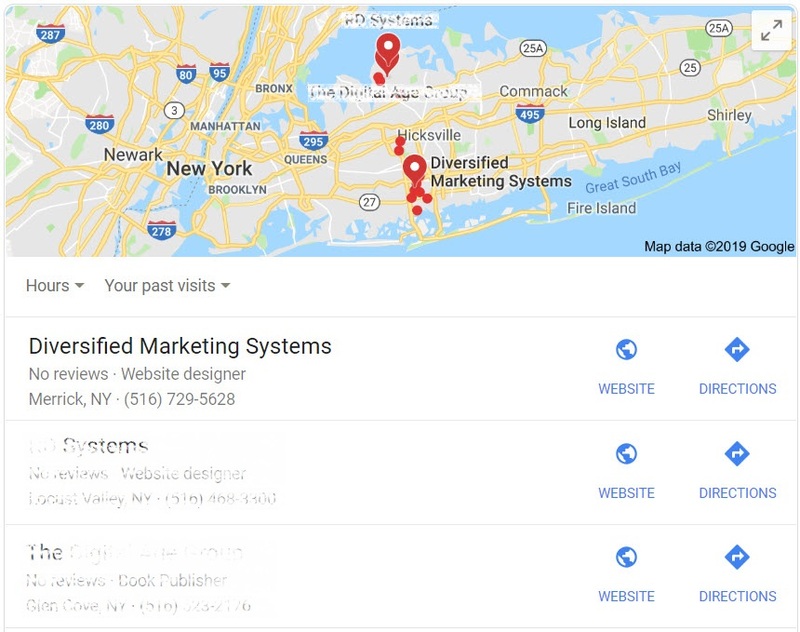 We incorporate a combination of GOOGLE preferred SEO techniques to optimize your organic (non-paid) listing and appearance on GOOGLE in local, regional, or national markets. While SEO is an effective way of getting your information out there, it may take some time for GOOGLE to list and give you the ranking that you want on GOOGLE'S search engine result page (SERP). Using GOOGLE ADWORDS is an effective way of getting your site listing properly positioned on GOOGLE SERPs right away. Perhaps you've seen ads appearing in some of your searches on GOOGLE. Using Adwords, you pay GOOGLE on a pay per click (PPC) basis. While it requires a financial outlay, if properly managed, Adwords can favorably position your product or service on GOOGLE right out of the starting gate. Fortunately, DMSI has an industry recognized GOOGLE ADWORDS expert on staff, who has run many large-scale international compaigns for companies like Name Cheap (an international hosting company), and many others.